It is celebrated for about a period of one month.When Maa Durga destroyed the demon Mahishasur in a ten daylong battle, the day was christened as Vijaya Dashami – the day of victory. 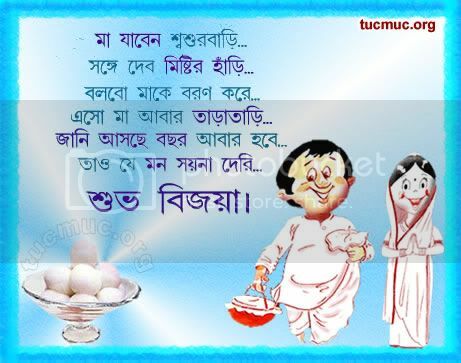 Shiuli Phuler gandhe jeno bhore gelo mon, Subhro sitol kasher sobhaye juralo du nayan, Agomonir barta boye bajche dhaker sur, Sharodiyar dingulo hok anondo modhur ! Subho Durga Puja !